From bogan to boned and beyond – a full-frontal ‘femoir’ by one of Australia’s best-loved journalists. 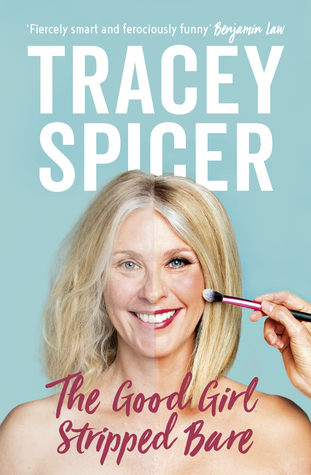 I didn’t know a lot about Tracey Spicer before reading this memoir; I didn’t recall her being sacked from her position as a TV newsreader after having kids, although I had vague feelings of recollection that she’d sued a network for unfair dismissal. So I read this book with completely fresh eyes, no expectations and no idea what was coming next. Engaging from the get-go, Tracey (see – I feel like I know her well enough to use her first name) shares a lot of herself in the book, from professional to personal thoughts and opinions with lots of anecdotes in-between. How refreshing! There were moments while reading that I laughed out loud (hello bogan upbringing in Queensland! ), got a bit teary (reading about Tracey’s mum and her incredible charity work) and moments that I felt outraged: how do men get away with treating women like this in the workplace? How can women say they are not feminists? Yes, all of Tracey’s managers were men, and through her career Tracey went from being told to lose weight, asked to change her hair colour, to then being sacked for having a baby and not being a pliable ‘young thing’ anymore. I realised just how important it is that women share these experiences, so that we can all understand the gaps and work together to help change gender inequality. I may not have experienced this kind of inequality, but that doesn’t mean that it doesn’t exist: and this is where we need to band together to make real changes. To me, The Good Girl Stripped Bare is critical reading for all women, and men, frankly; anyone who says men and women are treated equally has certainly not read this book! Highly recommended.